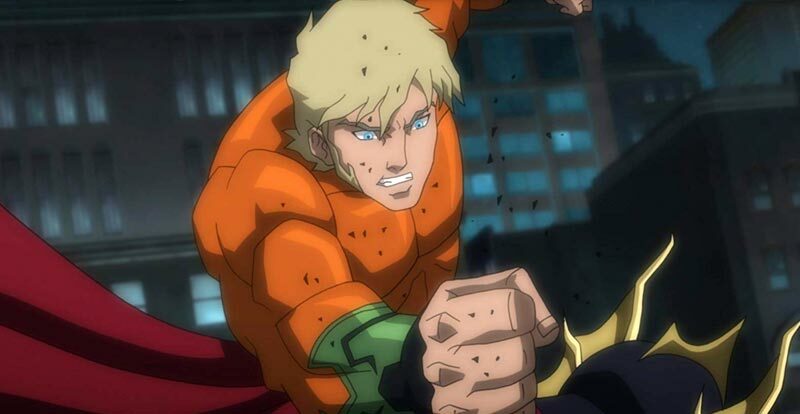 Justice League: Throne of Atlantis, the latest DC Animated Movie Universe flick to hit 4K Ultra HD, offers a take on the origin story of Aquaman. But how does it fare on the format? Does it swim, or sink? The story: A submarine is downed by unknown forces, and the nukes on board are stolen. 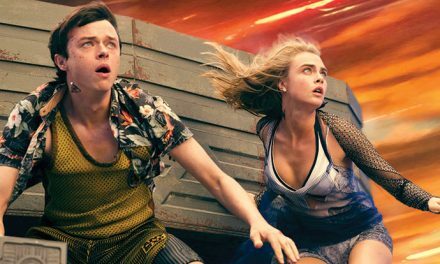 It turns out that warriors from the underwater city of Atlantis are behind the bad deed – but what would they want with nuclear missiles? Well, it seems they wish to take out Metropolis, framing humanity as they do so. 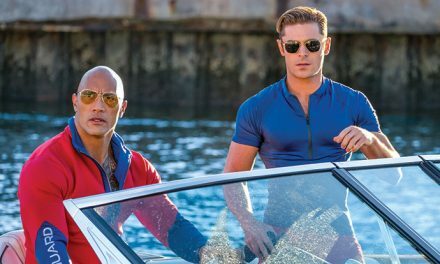 Can half man, half Atlantean, all orange and green clad Aquaman team with the Justice League, bring down his nasty half-brother Orm – AKA the rather hoity-toitily self-ascribed Ocean Master – and save the day? The 4K disc: Every time one of these cool DC animated tales crosses our review desk we need to find new and exciting ways to say basically the same thing. So, we’ll add a few exclamation marks here and there to spice things up. 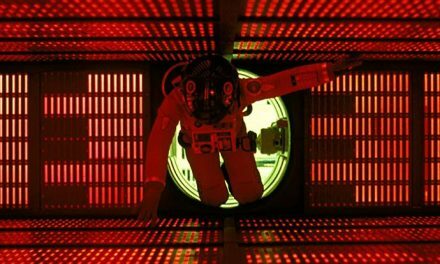 The movie is presented in upscaled 2K! It has HDR! 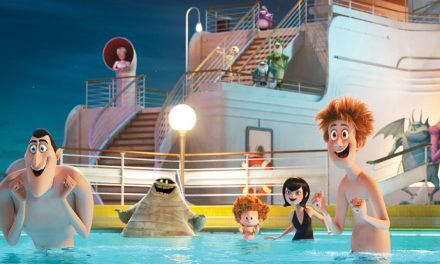 The HDR really does add to proceedings, bringing the brightness – and darkness – benefits of the format that apply particularly well to animated features. Oh, oops, we forgot the ‘!’! Audio is delivered via a DTS-HD Master Audio 5.1 mix! It does its job reasonably well, without calling upon an incredible amount of full-on surround or bass! Right, enough with the punctuation overload. 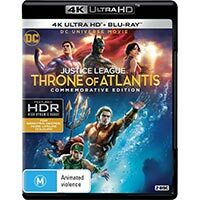 No extras feature on the 4K disc, however the included standard Blu-ray does deliver us a flotilla of goodies, including several featurettes, a Comic-Con panel, four bonus cartoons and a commentary from DC’s director of animation Mike Carlan and writer Heath Corson.